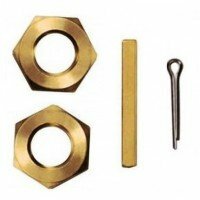 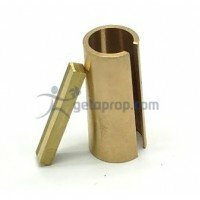 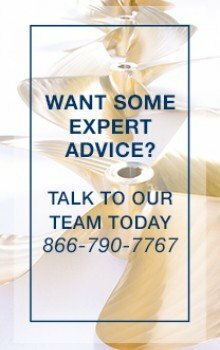 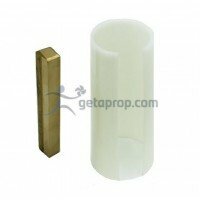 Bronze Propeller Bore Reducer Bushing 1.500" to 1.375"
Anchor Bronze Propeller Bore Reducer Bushing 1.500" to 1.375"
A stepped down key is provided that will accommodate the propeller bushing. 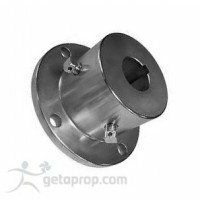 This Anchor propeller bushing is used to reduce a 1.500" bore propeller to a 1.375"
Walter Split Propeller Shaft Coupling for Borg Warner Marine Transmissions.A=Flange Diameter: 5"B=Bo..
Walter Split Propeller Shaft Coupling for Hurth Marine Transmissions.A=Flange Diameter: 5"B=Bore Ran..
Walter Split Propeller Shaft Coupling for Paragon Marine Transmissions.A=Flange Diameter: 4" B=Shaft..
Walter Split Propeller Shaft Coupling for Paragon Marine Transmissions.A=Flange Diameter: 5" B=Shaft..
Walter Split Propeller Shaft Coupling for Twin Disc Marine Transmissions.A=Flange Diameter: 4 3/4"B=..
Walter Split Propeller Shaft Coupling for ZF Marine Transmissions.A=Flange Diameter: 4 3/4"B=Shaft R..
Walter Split Propeller Shaft Coupling for ZF Marine Transmissions.A=Flange Diameter: 5"B=Bore Range:..
Walter Solid Propeller Shaft Coupling for Yanmar Marine Transmissions. 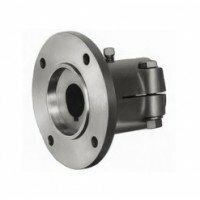 Cross reference Buck Alg..
Walter Solid Propeller Shaft Coupling for Hurth Marine Transmissions.A=Flange Diameter: 5" B=Bore Ra..